As the world started to integrate the internet in more and more activities and daily tasks, the importance of the quality of said internet grew significantly and constantly. Today, the quality of the internet connection is something everyone is concerned with. The reason behind this is that in a world where we are always required to download or upload something, a slow internet connection just won’t do. That being said, many are interesting in finding out what they can do to boost their internet speeds even further. Some settle with a very high speed connection while others go the extra mile and go for an NBN plan. So what exactly are the benefits of having an NBN internet connection? Let’s find out. This one goes without saying but having NBN will give you speeds that are unmatched by any type of normal broadband. This is something many consider the main reason for which they switch over to NBN, because they’re looking to have the fastest internet solution available. Most people drive or take a bus to work each day, but there is also a large number of people that work remotely. This means that they fulfill their duties and obligations in a working environment from another city, country or even continent. The internet made this business opportunity a reality but having a bad connection can definitely make it very difficult and inefficient to work like this. Needless to say, it can also put job stability in danger because companies want people that aren’t a liability. 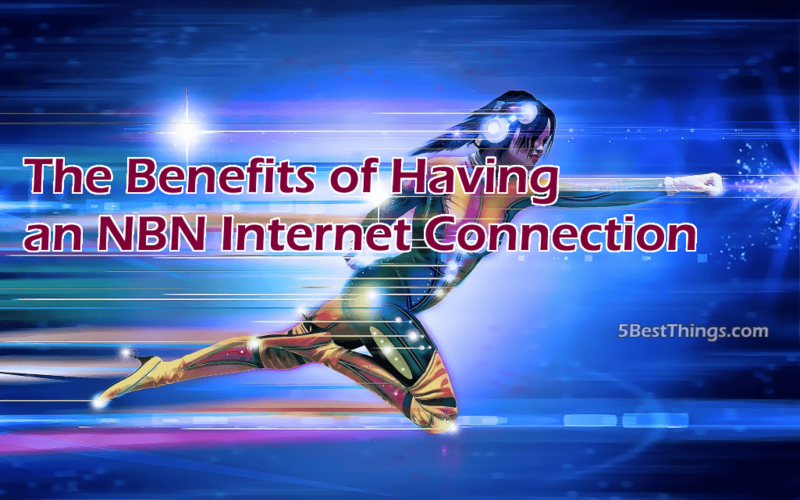 NBN can provide the fastest solution so that work conferences and communication with the office will be flawless. Remote education is often times disregarded because many are not familiar with the benefits and popularity of this learning method. Through NBN, remote studying doesn’t have to be a drag and a constant awkwardness because the internet connection keeps falling off. Especially in more modern settings where speakers or lecturers actually stream a lecture, it can be quite inconvenient to have an underperforming connection. Cloud technology is rapidly becoming one of the most efficient and important forms of conducting business and handling various office tasks. NBN can allow companies to implement cloud technology within the business’s infrastructure. This will have beneficial effects as it can allow employees to be more time efficient and more productive. Data storing and safekeeping can also be enhanced through cloud services, making a reliable connection even more important. Today, entertainment benefits greatly from using a streaming approach. People prefer to stream their music and movies rather than commit to physical copies or even store content on their computer’s storage unit. NBN can secure a stutter-free experience which can be of great use for users that spend a lot of time not only enjoying movies or music, but also researching them in a streaming environment for work purposes.